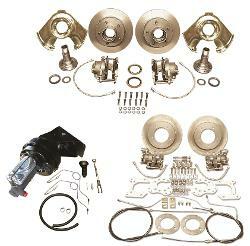 Don't piece together a kit, go with the full 4 wheel disc brake power brake kit. Includes Power Brake Kit for 4-Wheel Disc Brakes, Proportioning Valve, Front Disc Brake Kit with Proportioning Valve & Bracket and Rear Disc Brake Kit. For 11'' rear brake inside diameter application. REQUIRES AFTERMARKET LOCKING HUBS (i.e. Warn, Mile Marker, etc). FOR EASE OF INSTALLATION, WE RECOMMEND PURCHASING NEW AXLE BEARING RETAINER PLATES. 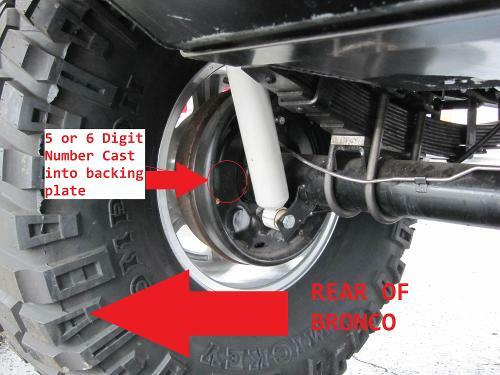 -- INSTALLING THIS KIT WITH STOCK STEEL WHEELS WILL REQUIRE SPACERS FOR CLEARANCE. If you have factory 5 1/2" wide wheels, you will need a 1/2" spacer along with longer axle studs. If you have factory 6" wide wheels, you will need a 1/4" spacer.